Saint Peter’s is committed to partnering with individuals and ministries throughout the Lowcountry, to help make the love of Christ a reality in our community. The Art Bus Project is a studio on a mission that seeks to use art to connect people to the hope of Christ. This art studio on wheels has created incredible opportunities to partner with neighborhood camps, community events, preschool programs and within our own church. Charleston Hope's mission is to provide basic necessities, academic support, and community relationships to local Title 1 elementary schools. Programs are designed to invest and enrich the schools in our own community. We are honored to come alongside them and help support their mission. 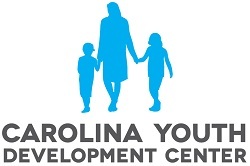 Carolina Youth Development Center (CYDC) empowers and equips our community’s most vulnerable children. We are committed to supporting this ministry in a multitude of ways to help ensure all children have a nurturing community empowering them to lead successful lives.